Brick Barbecue 30 – This model fits a barbecue corner, many people have a corner that does not give utility, and therefore have the possibility to install there a grill with an oven and dishwasher on the right side. This grill oven there is a left, a center, and a grill dishwasher INOX the right side. This grill is coated in refractory bricks for better cleaning and aesthetics course! 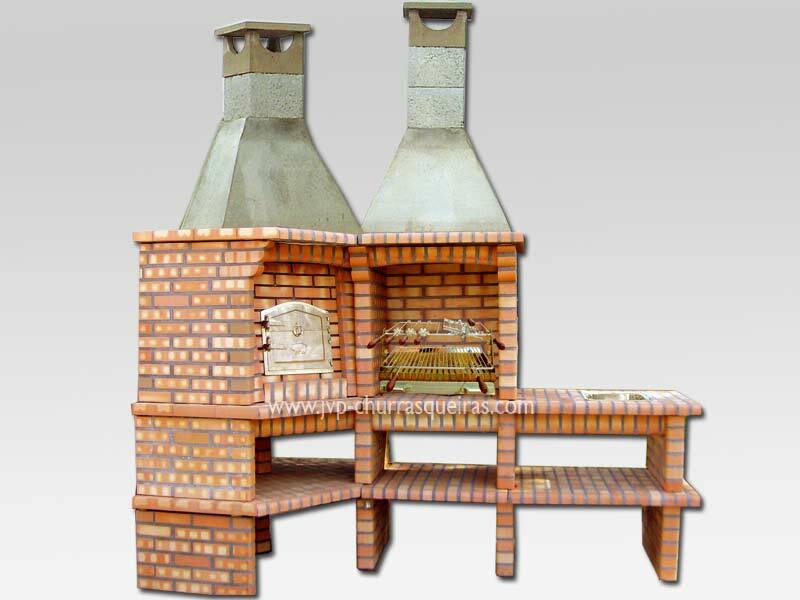 Barbecue Grill with oven, BBQ in bricks. Brick built barbecue for charcoal grills. BBQ Made in Portugal.